No greater acceptance of diversity in membership was found in the Los Angeles Bar Association—now, the Los Angeles County Bar Asso- ciation (“LACBA”)—first formed in 1878. In 1914, Hugh McBeth Sr., a black lawyer, was denied admission to the Los Angeles Bar Association.1 By the early 1920s, there was no change in the association’s attitude towards minorities in its membership. You Chung Hong, the first lawyer of Chinese descent to be admitted by examination to the California bar in 1923 was the first to practice law in the state. Thereafter, Hong earned two degrees from the University of Southern California Law School, a Bachelor of Laws degree (L.L.B.) in 1924 and a Master of Laws degree (L.L.M.) in 1925. After starting his practice in Old Chinatown, he sought membership in the Los Angeles Bar Association, but to no avail. In contrast, the American Bar Association freely welcomed him and he remained a life time member until he retired. Hong’s relentless work to repeal the Chinese Exclusion Act of 1892, having testified before the U.S. Senate Hearing Committee on immigration before he was 30 years old and immigration practice spanning 50 years, earned him recognition as the country’s foremost Chinese attorney. The Southern California Chinese Lawyers Association (SCCLA) in Los Angeles was founded in 1975 and is celebrating its 40th anniversary. 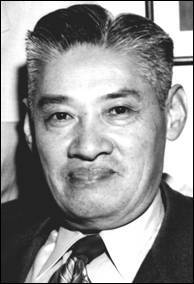 It was organized in great part at the suggestion of Los Angeles Superior Court Judge Delbert E. Wong, who in 1959 became the first judge of Chinese descent appointed to the bench in the continental United States. He felt that the lawyers of Chinese background, of which there were at most 75, didn’t really have any contact, weren’t able to provide support to each other, nor did they provide any community action, since they didn’t associate together in any organizations such as the LACBA, State Bar or its conferences. 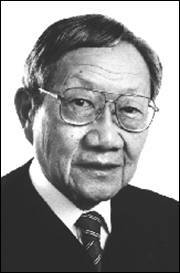 Albert Lum, later to become the first president of SCCLA, had sought to be involved with LACBA. Feeling unconnected with the LACBA, he departed from it and wrote its president, Leonard Janofsky, about the exclusion of minorities in the organization. Thereafter, Janofsky appointed Lum to a minority encouragement subcommittee and published the appointment in the Los Angeles Bar Journal. Other than Lum’s own efforts at an educational program featuring noted black and brown lawyers for student seminars, nothing diversity-wise further occurred in the LACBA. As a consequence of Judge Wong’s urging, and a dinner he gave honoring the appointment of Elwood Lui (now a justice of the Court of Appeal) to the Los Angeles Municipal Court, a group of lawyers attending the dinner felt an organization among themselves might be worthwhile. These Chinese-American lawyers included Albert Lum, Hiram Kwan, Jimmy Yip, George Lee, Nowland Hong, Richard Quan, Michael Chang, William Lew Tan, and others. They discussed forming a bar association with other Chinese American lawyers and after several meetings, it was decided to form a separate bar association, independent of any existing bar organization. At the time this was a rather outrageous idea. The expanded recognition of SCCLA over the years came about from several occurrences. One of these was the growing popularity of its annual installation dinner due in part from the wit and humor of its master of ceremonies, third president George Lee, and formidable speakers. The first guest speaker was March Fong Eu, then the secretary of state of California. The attendance at that first dinner was an amazing 300 people. Other installation dinner speakers in those early years were Ninth U.S. Circuit Court of Appeals Judge Thomas Tang, Court of Appeal Presiding Justice Harry Low of the First District, and California Attorney General Evelle Younger, to name a few. The inclusion of state and local politicians as well as judges, all of whom in later election years felt it a necessity to attend and be seen in running for office, added to the luster of the event and SCCLA. Another factor leading to SCCLA’s recognition that resulted in a number of other ethnic bar associations later forming was the desire to be recognized by the State Bar. To receive that recognition, it was necessary to have at least 100 members. Harry Mock Jr., the fourth SCCLA president who later became a Superior Court judge, lead the effort to reach this goal. He and other officers invited lawyer friends of different ethnicities to join SCCLA so that the century mark of membership was accomplished. Not long after SCCLA organized, the Japanese American Bar Association (JABA) formed when Edward Kakita—its first president and later its first judge (being appointed to the Los Angeles Superior Court in 1980)—contacted Albert Lum to borrow the SCCLA bylaws. The bar presidents of other local minority bar associations including the Langston and Mexican American Bar Associations subsequently joined together with SCCLA and JABA to form the Minority Bar Association. In the succeeding years, SCCLA has grown with the admission of many new women and men lawyers of Chinese descent, a number of whom have become bench officers, outstanding private counsel, and corporate general counsel. Its recognition has also grown by providing annual law school scholarships, community services that include monthly legal clinics and holiday food baskets, and member benefits that cover trial skills, quarterly CLE luncheons, joint events with other bar associations like the Marco Polo night with the Italian American Lawyers Association and JABA, and member mixers. In keeping with ever evolving life-style changes is SCCLA’s most recent Parent and Me mixer that includes spouses and children. Like all bar associations, SCCLA will seek to remain relevant to its members and the profession in future years. 1. In 1950, Thomas L. Griffith Jr. was the first black lawyer admitted to the Los Angeles Bar Association. He later became a Los Angeles Municipal Court judge in 1953.